Between 2% and 4% of all Americans are suffering from an undiagnosed case of sleep apnea. That is one in every 50 people. When this medical issue is unaddressed, individuals are at high risk of some dangerous, and even deadly, consequences. In fact, a study shows that around 38,000 deaths each year are related to cardiovascular problems that are in connection to sleep apnea. CPAP machines and nasal pillows are designed to prevent and treat sleep apnea in order to avoid these unnecessary deaths. How Do I Know If I Need Testing? Answering a few simple questions can reveal the need for further testing and treatment. Fortunately, we have the tools at our disposal to treat the effects and prevent further harm. 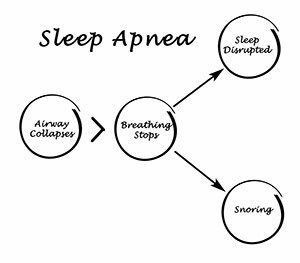 Dr. Powless can complete a clinical evaluation and have a home sleep test sent to you to evaluate the need for Sleep Apnea treatment. What Are The Treatments Options for Sleep Abnea and Snoring? Oral appliance therapy is an effective treatment option for snoring and obstructive sleep apnea (OSA). A custom-fit oral sleep appliance can improve your sleep, restore your alertness and revitalize your health. Here is a guide to help you get started with this life-changing treatment. Oral appliance therapy is covered by many medical insurance plans. If you and Dr. Powless decide that an oral appliance is best for you, he can have a custom oral sleep appliance made. Oral appliances are customized using impressions and models of your teeth. These models are sent to a dental lab where the appliance is made. 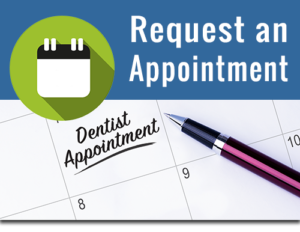 Once your oral appliance is ready, you will return to our office for a fitting. Dr. Powless will adjust the appliance to maximize its comfort and effectiveness. You also will learn how to clean the oral appliance and maintain it. After this fitting, he may schedule you for another sleep study to verify treatment success. Periodic visits to the office will be scheduled to evaluate the fitting and effectiveness of the sleep appliance and make any necessary adjustments.